With the ever increasing competition in the market, every brand is toiling hard enough to gain consumers. Here are some tips to gain customer loyalty. The pillar of a business is its customers. The numbers automatically increase with what’s new on offer. This is why a fortified business must have a robust customer loyalty program to retain the mass and attract more. The secret to a good business is its products and consumers. Other than making the products and services which are well-defined and focused, a company should fabricate a customer loyalty program to impart value in the customer relationship. Repeat business is the success mantra. To make it possible, you need to impart a positive buying experience which will compel them to repeat the process again with you. For an instance, when you immediately call up the customer to greet him and figure out his or her satisfaction level, this gesture automatically elevates the brand value of your business. Below is the list of 7 tips that will effectively increase customer loyalty and etch your business impression in the customer’s mind. Studying a little bit about the buying behaviour of your customers such as what they want, what they find, etc. Doing a research will reveal a lot of things that can be used to design a proper interaction. You can show them how much you care by providing a unique buying experience. You can also provide exemplary service by researching the common buying behaviour and setting up a homely environment. There are many different social media platforms that can be used to make an effective profile for representing the business. Making social media profiles will personify your business. In fact, the customers will also be able to communicate properly via the profiles. On earning positive reviews, your social media profiles will act like advertisement tools. Studies have proved that social media profiles fortify a brand-consumer bond and sketch permanent memories in their minds. The news feeds from the potential customers will also attract new clients as the degree of trust also increases. Preparing a platform that ensures a customer will be entertained anytime he or she calls will make a huge difference. An online service for customer support that dedicatedly takes calls or replies faster strengthens the customer-brand bond. In fact, the type of interaction also depicts whether the customer will be retained or not. Instant replies and prompt action build trust. Trust builds stronger relation and turns customers loyal. Pampering is the direct way to reach your heart. When you feel loved, you will automatically create a strong bond with the person imparting care. In this way, when a repeat customer is availed with exclusive discounts, rebates, offers, packages, coupons, etc, the buying behaviour automatically shifts in the favour of the brand. In some cases, many brands offer loyalty points by availing a membership card. Each time a purchase is done, some points are added depending on the value of the items bought. These points can be converted to cash and things can be bought. 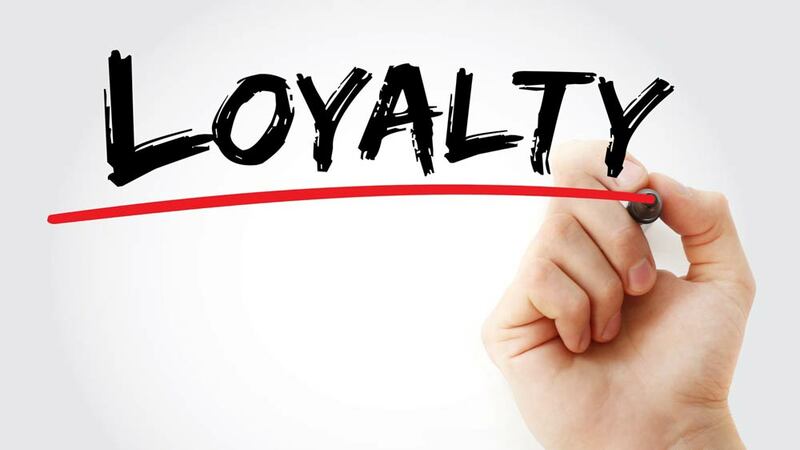 This type of loyalty programs retains repeat customers for a longer time. Often the brands struggle to find what the customers are thinking. Entertain reviews from honest minds to make you better. The business can well benefit when the reviews are used as constructive criticism. Moreover, the level of commitment elevates when the brand is improved to a considerable extent. Focusing on the reviews and showing that it matters to the company can be very fruitful to build customer loyalty. It also creates an effective channel to communicate with them. Another way of looking pretty good in front of the customers is to flaunt what you are doing for them to make the buying experience better. Revealing things that will benefit them but also benefit your business will surely elevate the customer satisfaction degree. Using advertisements in newspapers or via other promoting mediums, you can show how much you are dedicated. Personal information provided by the customers might contain birthdays and anniversaries. Save these dates and send a token to greet them. Holiday cards, birthday cards, anniversary greetings, etc reflect a great band value. These small gestures do not demand a huge pile of investment but retain the customers for sure. The trick is to understand a customer’s value and provide him a unique buying experience to win his trust. Implement these tips to maintain customer loyalty.